1But sometimes our poor friend and partner choices follow us well into our adult years. 3ARIES: Stay away from Cancer. 5GEMINI: Give up trying to have a mind meld with Virgo. 6CANCER: Aquarius won’t give you the caring you crave. 7LEO: Aries will try to share your spotlight. 8VIRGO: Do not engage with Cancer. 9LIBRA: Scorpio is far too dangerous for you. 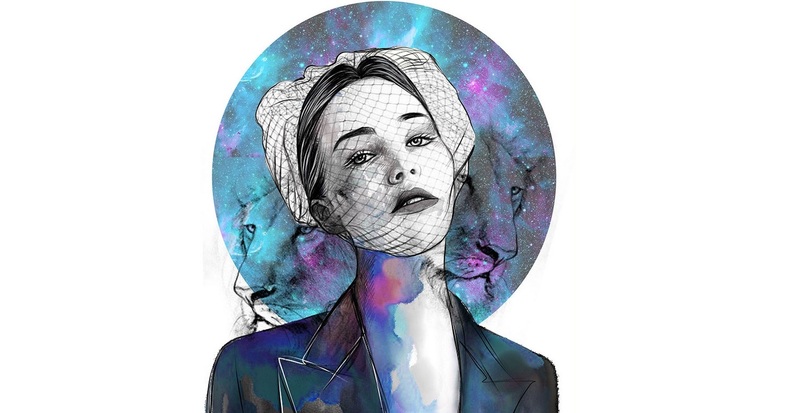 10SCORPIO: Leo is not your ally. 11SAGITTARIUS: Capricorn will try to tie you down. 12CAPRICORN: You and Aries don’t walk to the beat of the same drum. 13AQUARIUS: Stay away from Taurus. 14PISCES: Steer clear of Aquarius. We all have those people in our lives that no matter how much we try, we just don’t get along with them or the people who we do get along with are toxic for us. Who hasn’t had a friend or two that was a bad influence? It’s part of growing up that we make some bad choices when it comes to the people we allow in our lives. It’s fun to date the bad boy or hangout with that mean girl, especially when you know it’s going to piss off your parents. But sometimes our poor friend and partner choices follow us well into our adult years. You knew deep inside that you were ignoring all the red flags, but you still went ahead and married that guy, only to have it end in disaster. Or, maybe you put your gut instincts aside and agreed to work on a project with someone that you knew didn’t share your sensibilities or visions. There are just some people that we don’t connect with or we connect with on a very negative level and it’s best if we don’t have them in our lives. People do change, as do feelings. One moment you can’t believe how much you have in common with a new friend and the next, you’re thinking of ways on how to avoid spending any time with them. Not all relationships are made to last and you can growth and learn from even the worst of them, but that’s not to say that avoiding certain toxic people isn’t a wise and good thing to do. However, it can be difficult to know just whom isn’t good for you. Since we don’t always trust our instincts about people, we rationalize why they seem to make us feel sick whenever they’re around us. Astrology deals with the personality traits of each zodiac sign and the challenges and talents they have, especially regarding how they deal with other signs. The stars can indicate the least compatible signs, as well as the signs you’d have a meaningful connection with. ARIES: Stay away from Cancer. Aries, you’re too blunt and tend to say things without thinking and that’s not something that Cancers handle very well. They’re emotional and if they go to you when they need your shoulder to cry on, who knows what you might say. You have the potential to devastate the Cancer, and their constant wanting to talk about their feelings rather than getting out and doing something would frustrate you. The combination of Taurus and Sagittarius has all the makings of a sitcom. Taurus is stable, stubborn, and a homebody and Sagittarius is flighty, fanciful, and likes to take spontaneous trips. Will these two ever work out their differences and learn to live together? Cue laugh track. I’m sorry but The Odd Couple has already been done several times. Taurus and Sagittarius are a bad combination. GEMINI: Give up trying to have a mind meld with Virgo. It’s not that Virgo isn’t smart enough or witty enough to have a great conversation with you, it’s just that they tend to be rather reserved with their thoughts and feelings while you’re always speaking your mind and expressing exactly how you feel. Virgos like to keep to themselves and thrive on alone time. Geminis thrive on social interaction. It seems as if Virgos are too quiet which makes you think they’re either mysterious or just boring. CANCER: Aquarius won’t give you the caring you crave. You can’t hide your feelings if you tried, and why should you? Cancer is compassionate, empathetic, and thinks other people should be the same. However, Aquarians don’t enjoy emotional displays and they’re not even comfortable with their own. It’s not that they won’t care if you have an emotional moment, they just won’t know what to do and it would be awkward for the both of you. LEO: Aries will try to share your spotlight. You’ve got a captivating personality, Leo, which is a good thing as you need to be the center of attention. You live for praise and, frankly, Aries is just too competitive to let you just have it. Aries will compete with you for everything, and when they’ve won, they’ll have no problem relegating you to the back line while they take center stage. You’d rather have someone who supports you than someone who challenges you at every turn. VIRGO: Do not engage with Cancer. It’s not that you’re not unfeeling, it’s just that you tend to keep your emotions reined in and that’s the opposite of how Cancer handles their emotions. Since Virgos also tend to be hypercritical, not just of themselves but of others as well. You’d be in danger of causing a Cancer meltdown when you offered some criticism or helpful advice. LIBRA: Scorpio is far too dangerous for you. Libra, you like it when everyone gets along and things go smoothly. And if you can avoid conflict and confrontation all the better. However, Scorpio is like a living opera character, with their emotions on high and their passion practically palpable. Things aren’t slow and easy with a Scorpio; they’re intense and passionate, and the truth is, you can’t handle their fire. SCORPIO: Leo is not your ally. You two have much in common, too much in fact, and instead of agreeing you tend to be on opposing sides. You’re both confident, charismatic, and passionate but you can get competitive in a scary, last-man-standing kind of way. It’s better for everyone concerned if Scorpio and Leo both retreat to their own corners and stay away from each other. SAGITTARIUS: Capricorn will try to tie you down. Sagittarius, you like to feel as free as a bird, ready to take flight whenever the mood strikes you. Well, that kind of life philosophy doesn’t exactly fit in with Capricorn’s need to control, contract, and stabilize. They will not support or understand your nomadic lifestyle and will consider you foolish and silly. Who needs someone constantly disapproving of them? Certainly not you. CAPRICORN: You and Aries don’t walk to the beat of the same drum. Sure, you’re both hard working and love a good challenge, but you like to take your time to make sure that something is done right; Aries doesn’t have that kind of time. Patience is a virtue as far as you’re concerned and it’s a detriment to Aries. Capricorn, your methodical ways would annoy Aries and you won’t understand their need for adventure and travel. Here’s another thing: you’re cautious and careful so the risk-taking and foolhardy behavior that’s synonymous with Aries won’t exactly fly with you. AQUARIUS: Stay away from Taurus. Aquarius, you have a rebellious nature and you like to switch things up from time to time. Taurus are more stable and believe that if something works, why mess with it? Taurus aren’t flexible and open enough to new ideas for you, and it’s likely that once you lock horns (as you inevitably would) it would be a standoff of epic portions. You can morph and grow all you want but trying to change a Taurus when they don’t want to change is beyond futile. PISCES: Steer clear of Aquarius. You’d think Pisces and Aquarius would be a good match with your crunchy granola sensibilities, but you’d be wrong. You tend to be emotional and Aquarius don’t like that. You want someone who’ll listen to you carefully and who’s interested in what you’re going through, but Aquarius is too ever-changing to consider your needs. Aquarius might take advantage of your selfless nature if they think it’s for a greater good and, honestly, you don’t need to be used once again. I’m a little surprised by the negativity this reinforces… Astrology is too complex to reduce people to their sun sign alone, so projecting limited stereotypes onto people, then using that as a judge of whether to ‘avoid’ a person is an inaccurate foundation on which to base relationships. Awareness of signs’ strengths or qualities always helps, but qualities that challenge our own are tools for personality and emotional growth and development. Maturity comes from learning to respect differences and co-exist/ cooperate around them. Look to entire charts to see sign trends and aspects that affect the Sun before pigeonholing yourself or anyone else into generic categories. I completely disagree with this . I’m a Pisces and Aquarians make up for most of my closest friends … & I second that astrology is way too complex and we shouldn’t be making such bold assumptions about who should and shouldn’t be part of our lives based off of our Sun Sign alone . This is the dumbest article ever. You can’t just go by the sun sign. I love Aries people and I am a Cancer. But I have Gemini rising. I’m an astrologer and I would never advise a client to stay away from any sign. From the articles I’ve read on here it seems like you don’t care for us cancers much Lol. In my experience cancers get along well with Aries, and virgos and cancers are traditionally compatible so I’m not sure what you’re on about. Anyway, compatibility is so much more complex than what you make it out to be, so I hope no one actually takes this article seriously. Hahaha… An Aries win competitions against a Leo?! “When they win? !” That’s cure. Leo is the LION, and we can easily demolish rams. So there’s no need for an Aries to “let us win” anything. We’d have them for dinner like the LIONS we are so don’t worry about us. We’d win against Scorpio and Capricorn, too.